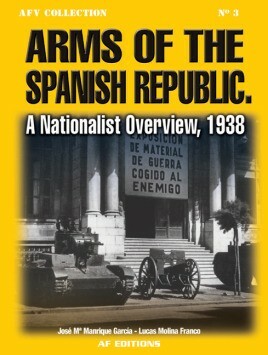 Contains 272 photographs *Shows the wide range of arms used by the Republicans *Provides fascinating insight into the Spanish Civil War The Captured Enemy Material Exhibition that opened at the Hotel Kursaal in San Sebastian in 1938 was the subject of several catalogues and commemorative brochures, all of them printed in short runs. An extraordinary array of the arms were on dispay, and this book showcases the wide range of armory possessed by the Republican Ejercito Popular. The Republican received weapons and soldiers from the Soviet Union, Mexico, the International Socialist Movement and the International Brigades; the Nationalists had the help of Nazi Germany and Fascist Italy. Despite the superiority of the weapons available to Franco and the Nationalists, the Republicans were able to fight back after defeats at Alcazar and Guernica. This impressive arsenal gathered at the Gran Kursaal was soon disbanded and the collection was handed over dismembered to different depots and arsenals. Only a small part has survived to this day, preserved at different specific military museums.